Carl Amanor Sackey has over 20 years of IT experience, both at the technical and managerial levels. He is the Business Development Manager at Ghana Community Network Services Limited (GCNet). His role is to lead in the promotion of GCNet services and development of new concepts, products, developments and architectures and rollouts of these e-solutions for GCNet, the Ghana Revenue Authority and other stakeholders such as the Bank of Ghana. He is an integral member of the strategy team for GCNet in delivering on its core mandate of Trade Facilitation, Revenue Mobilization and Business Process Reengineering and has worked on large scale countrywide projects for government. He was the Systems and Database Manager of GCNet, a position he held for 7 years before moving into Product and Business Development roles. He was responsible for the setting up of the systems for both GCNet and Ghana Customs. Prior to working for GCNet, Carl was the IT Manager for SGS SA, a role that took him across Africa working on the company’s systems in their affiliates. He also consulted for many Ghana Club 100 companies prior to joining SGS. He is a security and audit professional and lectures in Security, Audit, Risk and Governance in many institutions. He is an Oracle DBA and a UNIX Systems Administrator as well as a Microsoft Certified Professional. Carl is a Computer Science Graduate of the University of Science and Technology, now KNUST and holds an MBA from the China Europe International Business School (CEIBS). Carl is also a CGEIT, CISM, CRISC, CISA, ISO 27000 Lead Auditor/ Lead Implementer. Carl has served as a member of the Ghana Government Enterprise Architecture and eGovernment Interoperability Framework Working Committees. 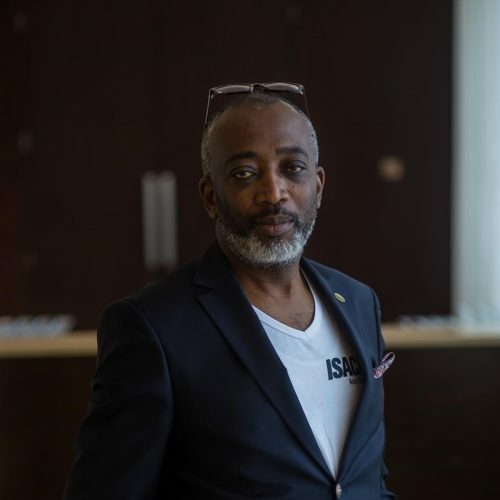 He is the President of Information Systems and Control Association (ISACA), Accra Chapter, the global professional body for IT Auditors and information security professionals. He has has held various Board roles in the Chapter over the past 10 years before becoming President of the Chapter. Carl is passionate about the Governance of Enterprise IT and value for money investments in IT systems.